When Kelsey Throckmorton was a sophomore at Indiana State University, she remembered learning about a European trip offered by the Networks Professional Development Program in the summer of 2008. But when she and several other students asked about a similar offering for 2009, they learned that one wasn't being coordinated that particular year. So they did it themselves. Throckmorton, now a senior, was among the group of 18 students who planned the 2009 trip to New York City and Europe. Trips such as these provide opportunities for Networks Scholars to experience different cultures and international financial services industries, as well as explore professional opportunities. 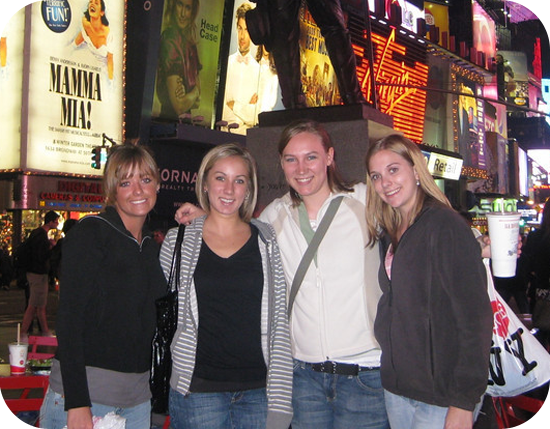 Seniors Abigail Carver, Katie Wheeler, Kelsey Throckmorton and Kali Diethrich, students at Indiana State University and members of the Networks Professional Development Program, pose for a photo in Times Square during a trip a group of Networks Scholars made to New York City and Europe. Several Scholars helped plan the trip, which included stops at financial institutions in the New York City and Europe. A nationally known financial expert associated with Indiana State University will discuss economic affairs during an upcoming event in Evansville. R. Christopher Whalen, a research fellow with Networks Financial Institute (NFI) at ISU, will speak on "A New Deal for the American Economy" on Nov. 30. Whalen's presentation is an outreach on behalf of NFI and the Scott College of Business at Indiana State; Whalen spoke at ISU in October and in Northwest Indiana on Nov. 8. In his Evansville presentation, Whalen is expected to discuss topics from his upcoming book due out in December, and describe some changes to monetary, fiscal and trade policy that he believes would help restore balance to the world economy. Whalen has been regularly quoted by the media, and is an important source for financial news, said John Tatom, director of research for NFI. A renowned financial expert associated with Indiana State University will discuss economic affairs during an upcoming event in Northwest Indiana. R. Christopher Whalen, who is a research fellow with Networks Financial Institute (NFI) at ISU, will give his speech, "A New Deal for the American Economy," on Monday, Nov. 8. Whalen's presentation in Merrillville is an outreach on behalf of NFI and the Scott College of Business at Indiana State University; he spoke on the ISU campus last month and will be in Evansville later this month. Whalen's speech in Merrillville is sponsored by the Minas Sabau Group of City Securities Corp., a full service brokerage firm. The Excellence in Financial Literacy Education (EIFLE) Awards were established in 2007 and have since become one of the most prestigious and sought after awards in the industry. Each year, the Institute for Financial Literacy presents EIFLE Awards to individuals and organizations that have shown exceptional innovation, dedication and commitment to the field of financial literacy education. The work of these authors, educators, organizations and researchers inspires others to strive toward excellence as well, increasing the availability and effectiveness of financial literacy education in communities across the country. Networks Financial Institute won the award for Instructional Game of the Year for Kids Count: The Fun Game of Dollars and Sense! A four-year curriculum with focused activities designed to cultivate the professional skills of Indiana State University students has been recognized as an award-winning initiative. 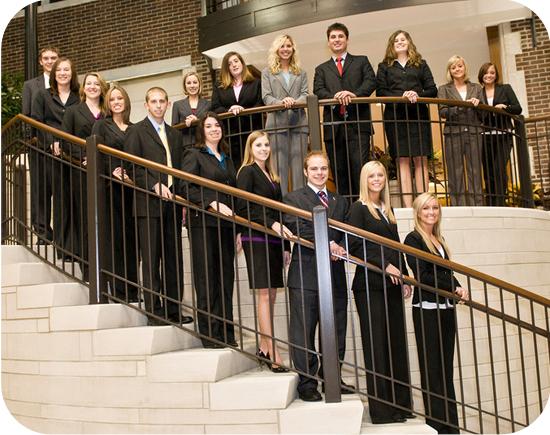 Networks Financial Institute, an outreach of Indiana State's Scott College of Business, garnered third place in the 2010 Innovation in Business Education Award by the Mid-Continent East Association to Advance Collegiate Schools of Business. NFI received the award for its Networks Professional Development Program, a multi-year, coached, experiential professional development program designed for high potential undergraduate business majors at ISU. The Institute for Financial Literacy is pleased to announce the winners of the 2010 Excellence In Financial Literacy Education ("EIFLE") Book Awards, which will be presented on Wednesday, October 6, 2010 at 6:00pm at the Hyatt Regency in Boston. The EIFLE awards were created to acknowledge innovation and quality of financial literacy education efforts and the commitment of those that offer them. Instructional Game of the Year, K-12 Money Management -Table Top: Kids Count: The Fun Game of Dollars and Sense! by Brittany Greene, Networks Financial Institute, Indiana State University. A prominent financial industry expert is visiting Indiana State University to speak about economic issues affecting the nation. R. Christopher Whalen, who is a research fellow with Networks Financial Institute (NFI) at ISU, will give a speech titled "A New Deal for the American Economy" on Wednesday, Oct. 13. In the presentation, Whalen is expected to discuss topics from his upcoming book due out in December, and describe some changes to monetary, fiscal and trade policy that he believes would help restore balance to the world economy. Kids Count at Networks Financial Institute! 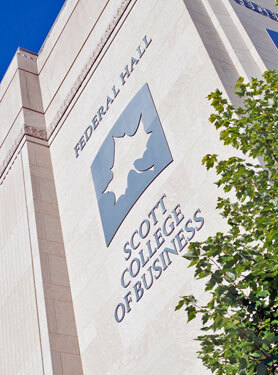 You may recognize Networks Financial Institute® (NFI) in the Donald W. Scott College of Business at Indiana State University as a facilitator of broad, collaborative thinking, dialogue, and progress in the evolving financial services marketplace. Or, for its strong student scholarship and development programs. 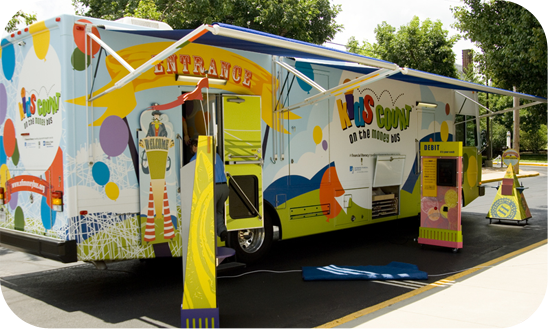 With a third area of emphasis on financial literacy educational programs, NFI has developed the Kids Count® Program. The NFI goal is to provide teachers with online access to lesson plans that teach children the value of money and important financial management lessons along with activities to develop their reading, economics and math skills. 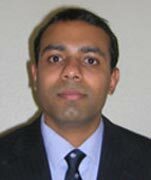 The Donald W. Scott College of Business at Indiana State University will host a reception Tuesday to welcome Sandeep Gopalan, head of the department of law at the National University of Ireland and a visiting scholar with ISU's Networks Financial Institute. "We are fortunate to have attracted Dr. Gopalan to ISU to share his passion and scholarship with members of our campus and community," said Terrie Troxel, executive director of Networks Financial Institute. Insurance industry leaders and regulators will discuss the impact of Wall Street Reform on the insurance business in the Midwest during a Sept. 14 conference at the Columbia Club in Indianapolis. Networks Financial Institute at Indiana State University is sponsoring the conference. "Insurance Regulatory Reform Issues: Regional Perspectives" will address the impact of the Dodd-Frank Wall Street Reform and Consumer Protection Act on the insurance industry in the Midwest. The act is widely regarded as the most sweeping financial regulatory overhaul since the Great Depression. Among the issues to be discussed at the conference will be how the industry can guard against another "too big to fail" scenario such as the 2008 collapse of AIG, said Terrie Troxel, interim director of Networks, an outreach of Indiana State's Donald W. Scott College of Business. The Donald W. Scott College of Business at Indiana State University welcomes its seventh class of Networks Scholars. Recipients of this prestigious award, presented in conjunction with Networks Financial Institute, receive a four-year scholarship that covers tuition and fees, a professional development account and a new ISU laptop. Networks Scholars also enjoy the opportunity to participate in a paid internship, international experience and a faculty mentor relationship. Networks Financial Institute in the Scott College of Business at Indiana State University is pleased to announce a call for papers for a national competition for significant and innovative research on financial services policy reform. The purpose of this award is to encourage research on financial regulatory reform among relatively new faculty researchers. Entrants are limited to faculty members in early stages of their careers ‐and PhD students in fields related to financial services and/or public policy. A letter of interest describing the research and its significance must be included, along with the applicant’s curriculum vita, the completed research paper and a letter of recommendation from the chair of the applicant’s department or the head of a dissertation committee in the case of a Ph.D. student. The recommendation letter must indicate that the candidate meets the entry qualifications. Research completed by a Networks Financial Institute fellow has concluded that systemic risk is not a feature of the insurance industry because the failure of American International Group in 2008 did not adversely affect major insurers. Martin F. Grace, a professor of legal studies and risk management and insurance at Georgia State University who serves as a senior research fellow for Networks Financial Institute at Indiana State University, presented his findings earlier this month in Washington, D.C. to a group of industry leaders, regulators and lawmakers. Grace offered his new methodologies for assessing systemic risk in the insurance industry - which includes system breakdown, causality of loss and uncertainty in evaluating the relative strengths of insurance companies - in an effort to inform decision makers and to contribute to the discussion about increased federal oversight of the insurance business. Stanley Smith, professor of finance at the University of Central Florida, will speak on campus Thursday in the Donald W. Scott College of Business 11th floor conference room. Smith's presentation, titled "The Increasing Default Risk of U.S. Treasury Securities Due to the Financial Crisis," is hosted by ISU's Networks Financial Institute. Networks Financial Institute in the Scott College of Business at Indiana State University is pleased to announce the 2010-11 Networks Financial Institute Dissertation Fellowship in Financial Literacy. Eligible doctoral students must be in the final year of their PhD or DBA program and writing on a topic related to financial literacy or financial education. The $25,000 award will include a monthly stipend of $2500 per month for 9 months and a small fund for travel, data, and other research related expenses, including presentations of the research at professional meetings. The rapid expansion of financial markets in China offers great opportunities for investors, according to a new book co-edited by John A. Tatom, director of research for Networks Financial Institute at Indiana State University. "China has experienced more than 30 years of supercharged growth, aggressive reforms and a new level of integration with the world economy, but few Western observers fully grasp the sweeping changes that are under way," Tatom said. On the heels of a global financial crisis, the Indiana State University Foundation has received a $6 million gift from Lilly Endowment to advance financial services public policy, research, and education. The gift will benefit Networks Financial Institute (NFI) and the Donald W. Scott College of Business. It comes as the nation continues to recover from the worst economic downturn since the Great Depression and amid proposed national reforms of insurance and other industry operations. The latest gift brings the total amount invested in NFI by Lilly Endowment to $29 million since 2003 and supports three areas: public policy and research in insurance and other financial services sectors, financial literacy, and professional development for top financial services students in the Scott College of Business.